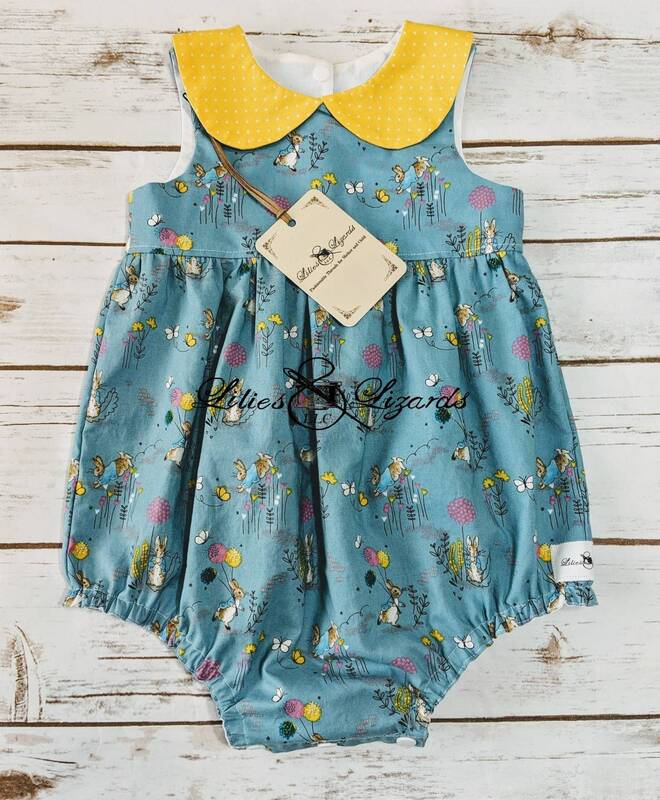 Adorable one-piece bubble romper/play suit, crafted from 100% cotton, Peter Rabbit fabric. Blue fabric with yellow polka dot, peter pan collar. Snap crotch closure and snapback closure. All fabrics were pre-washed without detergent and dried to prevent garment shrinkage. Leg openings have cased elastic. 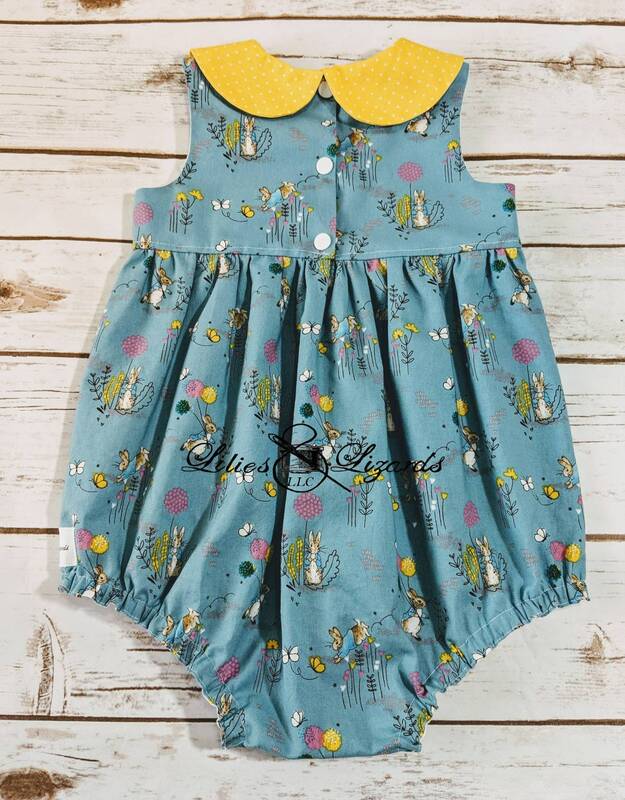 This sweet little romper would be perfect for any time but especially for Easter or a themed first birthday.